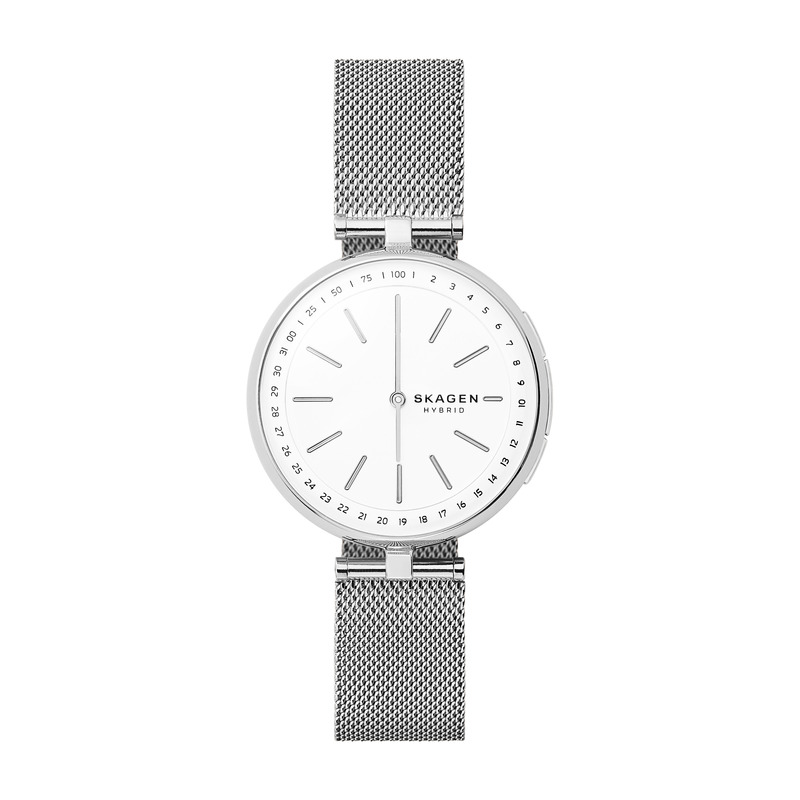 Founded on minimalist Danish design values, Skagen is a modern watch brand centred around simplicity, approachability, and a clean, focused aesthetic. 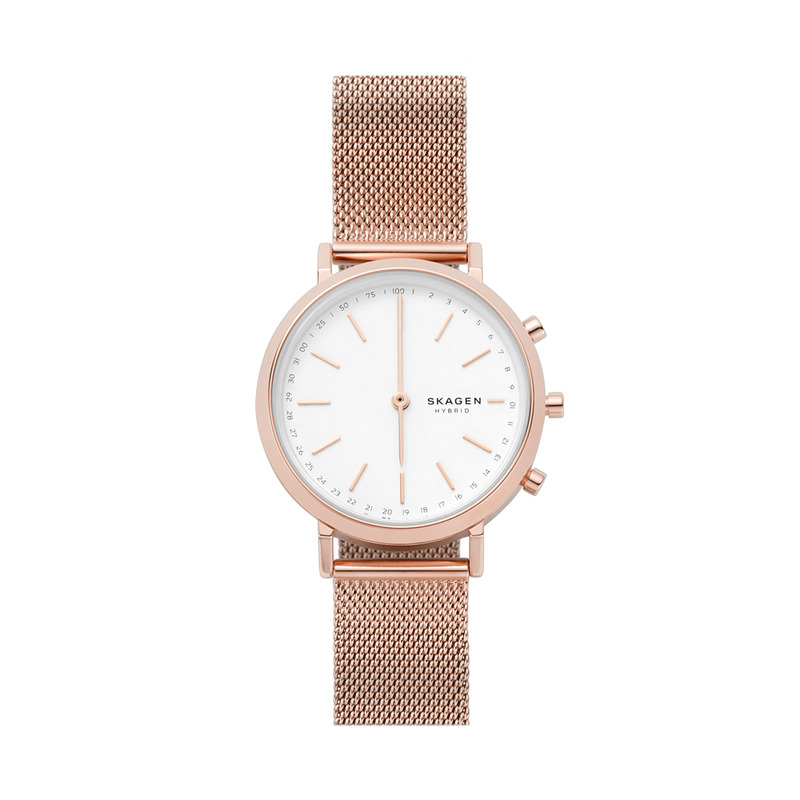 Now Skagen have ventured into technology, combined it with their contemporary approach and launched a range of hybrid watches which are now available on Watch Shop. Discover how a Skagen hybrid watch can keep you connected. 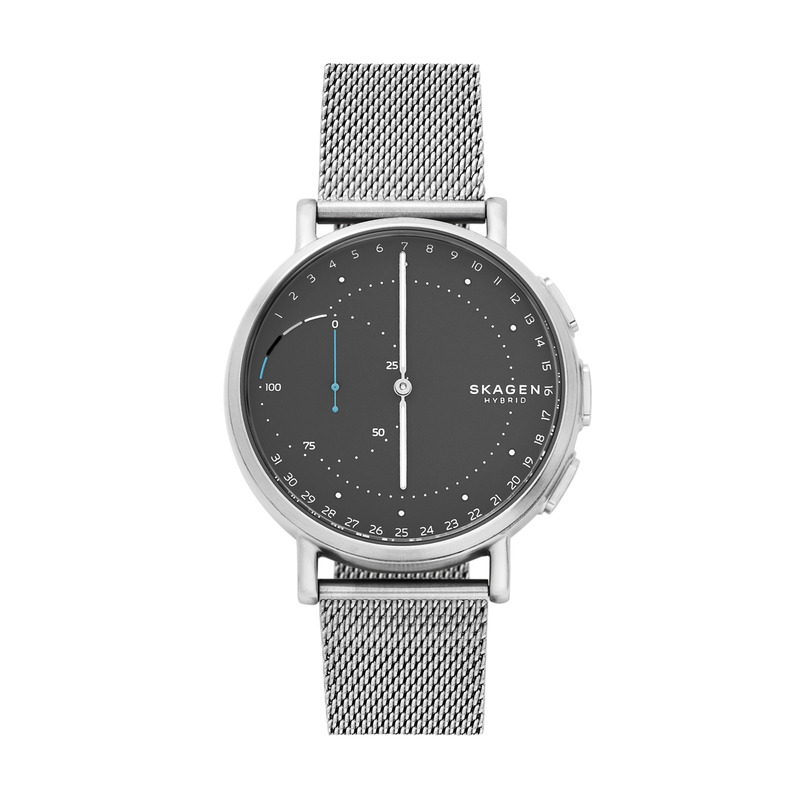 Scandi inspired design meets world-class technology, these Skagen hybrid watches have the classic look of a traditional watch with the brains of a smartwatch hidden inside. So if you are a lover of technology but also the classic aesthetic, look no further than a hygge hybrid. As a hybrid watch connects to your phone (both iPhone and Android) through the Skagen app, the watch automatically updates to the correct time and date wherever you are in the world. Style remains simple whilst staying connected, with customisable buttons your favourite functions are only a click away, from controlling your music to taking photos. Receive discreet notifications through hand movements and vibrations, with every notification, text, email or call received, and keep on top of everyday fitness achievements with activity tracking. 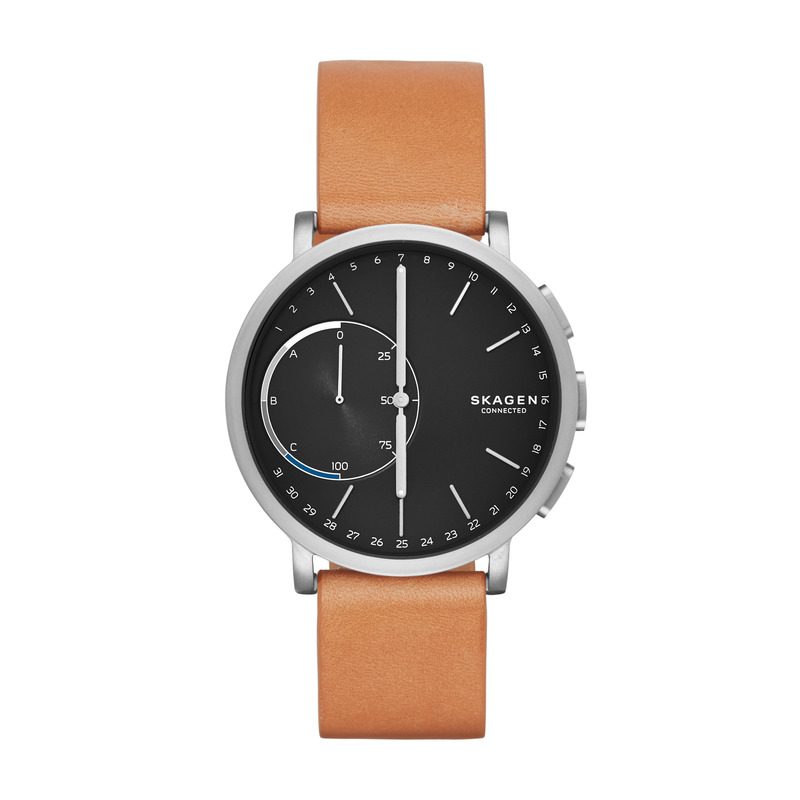 Skagen hybrid watches are powered by a standard coin-cell battery, meaning there is no need to charge and are compatible with both Android and iOS smartphones.